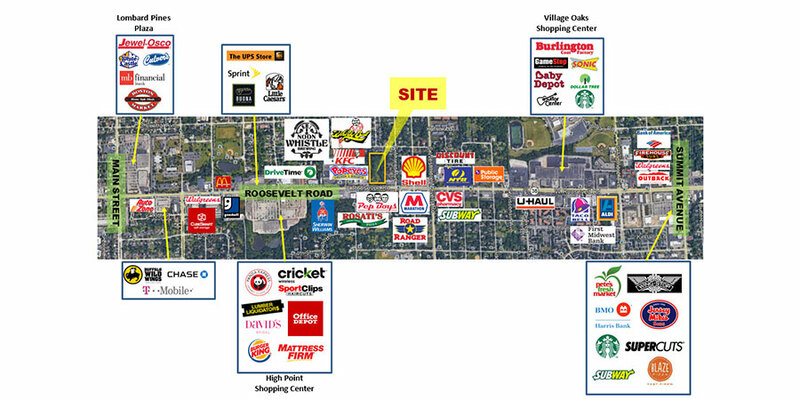 Lombard - 5+/- Acre Retail Development Site | Inland Real Estate Commercial Brokerage, Inc. Approximately 5 acres undeveloped land site. Zoned B4 - A. Commercial corridor district. 334 feet of Roosevelt Road frontage, with high visibility, traffic counts and national retailers in close proximity. Nearby water & electric.